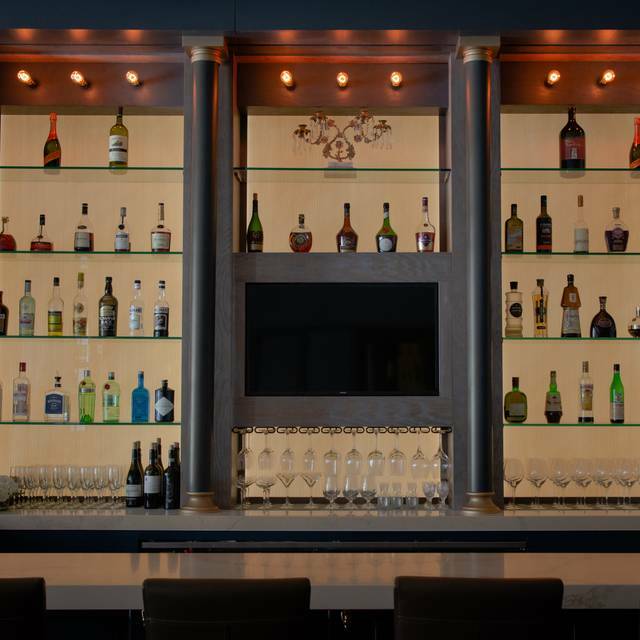 In addition to valet parking at the front door, Prosecco is also situated within less than a block of several major public parking lots, including one directly across the street! 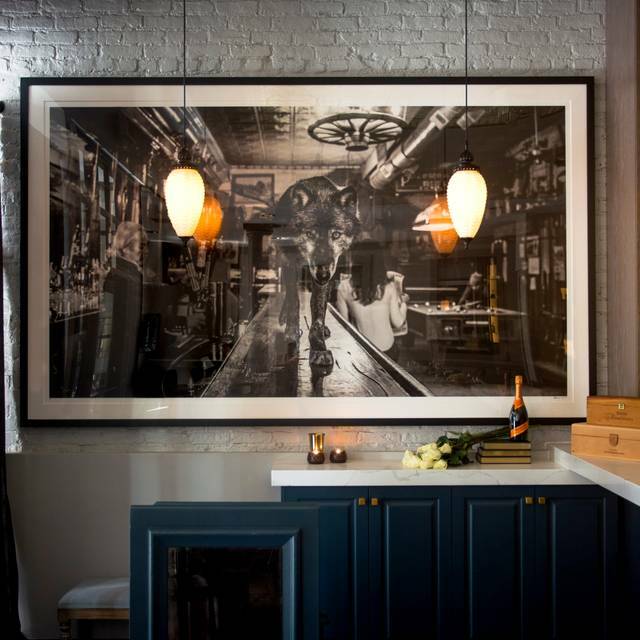 Prosecco is located within less than a block from several major transit stops, including a bus line that runs almost to the door! Visit the Chicago Transit Authority online to find the many train and bus lines that will bring you here! 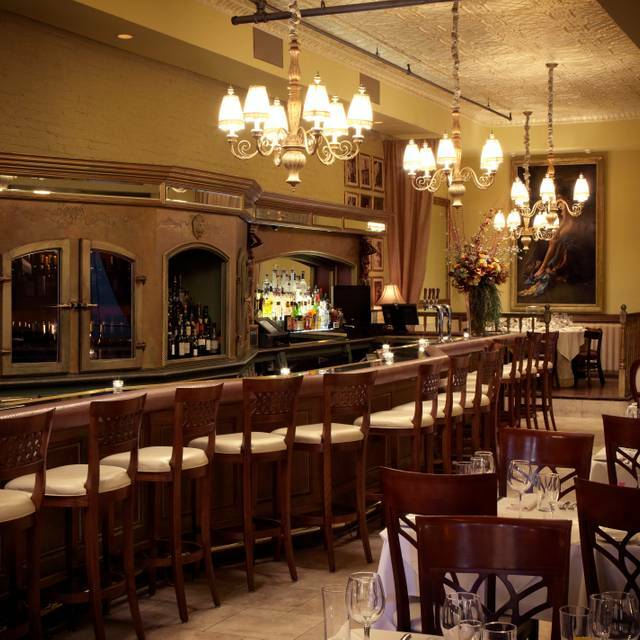 Prosecco looks forward to bringing upscale catering to your private home or venue! 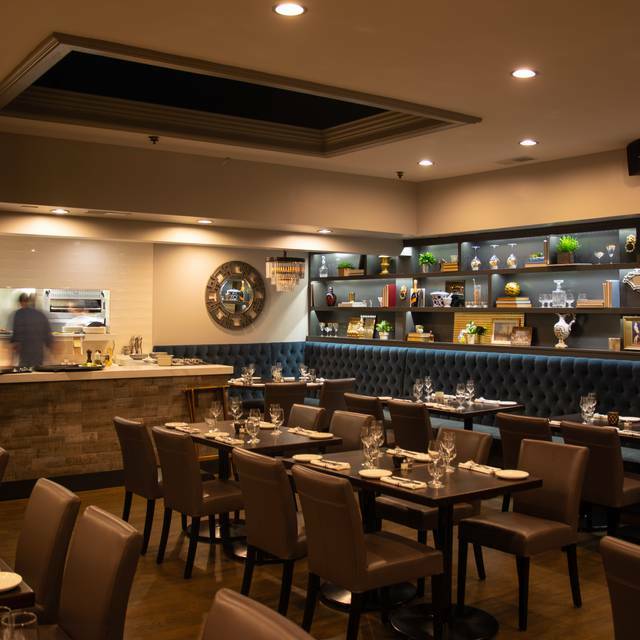 The talented Chefs do it all -- from antipasti to hand-finished pasta dishes and the most succulent meat, game and fish from all regions of Italy -- from Piemonte's famous white truffles to the game dishes of Toscana and the freshest of fish from Sicilia. The catering philosophy is simple, to make you a pampered "Guest" at your own private event! Prosecco will bring the finest dishware, flatware and glassware, plus fabulous table linens, to turn your event into a Venetian "Ballo in Maschera". Private dining options are many, with semi-private rooms for as few as 8 to private rooms for as many as 175. 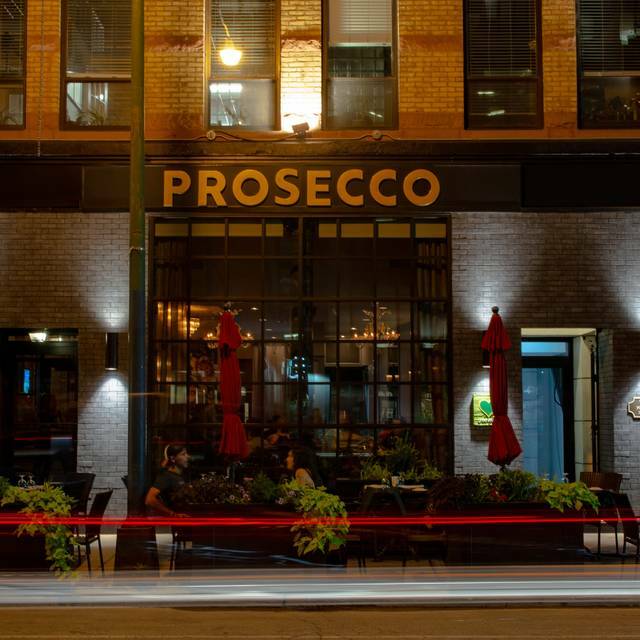 Prosecco, in the heart of the River North Gallery District, is a chic, yet welcoming restaurant serving comfort foods from all 20 regions of Italy and Chicago's largest selection of sparkling wine. Enjoy classic comfort foods -- from house-made pasta to nightly beef, fish and game menu additions. Prices are moderate, but those wishing to indulge in an evening of culinary mischief will not be disappointed! Overall good. Intended to have a meal, but realized wasn’t that hungry after appetizers and drinks. Seemed to have upset the server. Went there for dinner on a Friday evening, and had a great experience. We had made a reservation, and so we did not have to wait. Our server was extremely nice and attentive. The food was fantastic. I ordered the Pesce Bianco, which was incredible. Highly recommend this place, and will definitely be back. Amazing food and service! Waiter was so friendly and we will definitely be coming back! 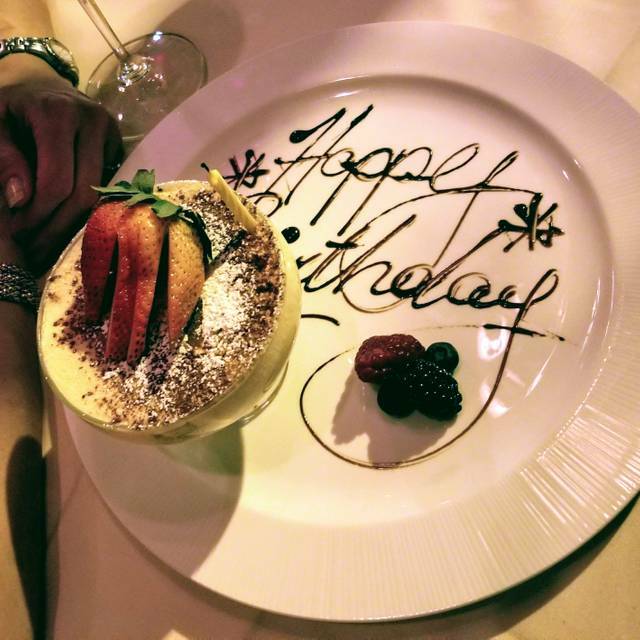 We were celebrating a birthday and had an amazing dinner! The service was exceptional and each course was truly delightful. 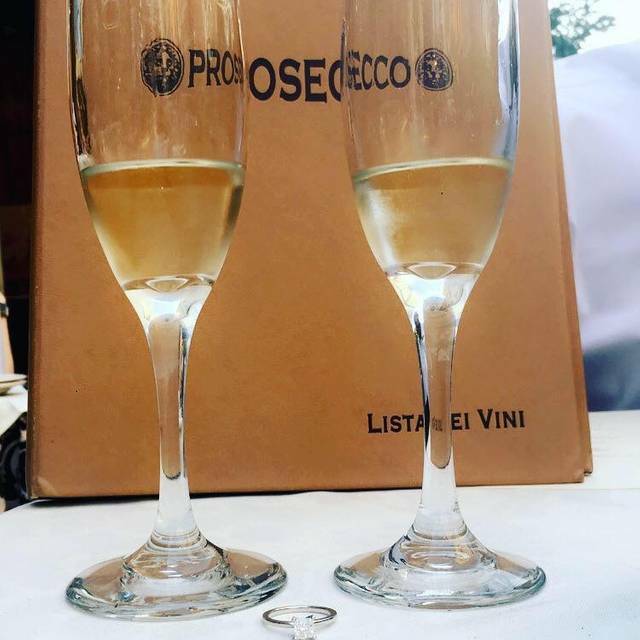 When we are back in Chicago, we definitely will go back to Prosecco! The food was delicious and attentive service made it a must to return .. Very good food offset by very questionable wine pours. For a $16 glass of wine the pour didn't even reach the fat part of the wine glass. Not only that, but apparently they pour based on the price! The bartender poured two glasses of wine for a server. I commented to my husband how the two were not evenly filled. When the server came to pick it up, he asked...which is the Malbec? (BTW, an $11 glass of wine.) I kid you not, the bartender responded, "the one with less in it." Seriously? Because it's only $11 wine, you pour less, so they order more? This was a HUGE turnoff. We didn't order any more wine. Sorry folks, but this is a "no deal" for us, so we won't be back. That's just really crappy. For what it's trying to be, it does not succeed. Starters were good, got the mozzarella and snail dishes. Entrees were a big disappointment. We got the Saltimbocca and Pesto. Not worth the money spent. Have to imagine that Chicago has many more Italian restaurants worth what you spend. Service was impeccable. From the moment we stepped in to the moment we left, every member of the team was professional, courteous and left an impression that that will have us returning in short time. Great service and even better food! Would visit again in a heartbeat. Excellent food and accommodating service. Service was extraordinary, food as good as always!!! One of the best places I have been in Chicago!! Excellent food, service and ambient. It is our number 1 for our date nights!!! One of the best restaurants in all of Chicago. We go there once a month and would recommend it to anyone. Everyone who works there is great. Great food, great wine. Really enjoyed our night. Highly recommended visiting. Had friends in from out of town, had dinner after their Ballet and it was perfect ! Great service and food! Would go back and have recommended. Friendly, welcoming staff. Food was phenomenal. Would definitely return! Slow service, but only one waiter had bad vibe, other waiter nice but very slow. Food average at best, bland pasta dish and salad tasted like it was straight out of the ground with minimal dressing (waiter actually brought more without us asking... must be common complaint) Decent wine list. Totally different vibe than before the rehab, but food is still great! Had a great meal. We were greated right away with our server wishing us a happy anniversary with complementary champagne! 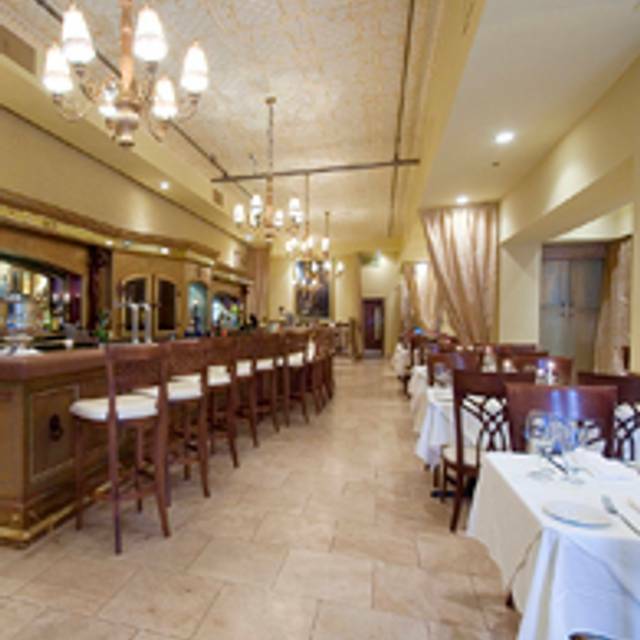 Service was outstanding and overall experience was exceptionally pleasant and made the night lovely. Very well done! Fantastic food , ambience and value. Great spot for foodies . Plan ahead on this one! Had a great table. Wonderful dinner, staff was tremendous. I went there first time after they reopened. I didn’t like the table configuration and music they played. They went too casual. Food was excellent and overall the experience was good enough to go back again. was disappointed by the experience. the appetizers were fine but the main courses were lacking. Waited near 40 min past reservation time to be seated. Noise/music sound level very high even in back room with fewer people and no loud clientele—unable to discuss menu with server without us all needing to repeat and yell. They acknowledged this actually as a constant issue. Not ‘energetic’...just really inappropriately too loud, I.e. is it a restaurant with fine dining, or a loud bar with food???. (The new decor/renovations lacks appropriate sound diminishing design??). Food portions compared to prior menu presentations are much less. Tables are cleaned with irritant chemical ?lemon scented wipes and the smell persists on table and perfuses the room, overwhelming any pleasant food aromas. This observation was made by others also. 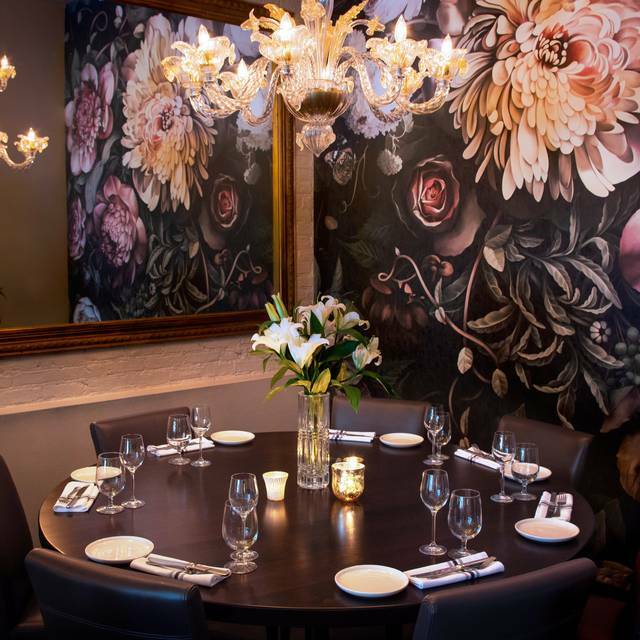 Overall, the prior wonderful aspects of this venue have been lost, and the quality of the ambiance, menu and food has significantly diminished. Will no longer recommend. Our first time visit was wonderful. My partner and I celebrated our 3yr anniversary and Prosecco was highly recommended by several friends. The service, starting with the host, the server and the bus staff was wonderful, very attentive but not intrusive. The food was delicious: the grilled octopus, the avocado with lobster, the double pork chop, the cheesecake. All excellent. The only disappointment was the Caesar salad which was dry and somewhat tasteless. We appreciated the “Happy Anniversary” written in chocolate on the cheesecake plate! A very thoughtful touch. Thanks for making our special day extra special and memorable! Birthday celebration for my son. Lovely experience and terrific food...Thank you!!! Wouldn’t come back or recommend this place. I got a call from the restaurant less than a few hours of my reservation, saying they have blocked out the time and it’s not available anymore, I was very upset, then she said she could keep the reservation. When I went to the restaurant, the lady at the front assisted two parties behind me, not sure she’s anti Asian or what. I was very nice and respectful, I guess people were educated in different ways. Food is very average, total failure of this restaurant week experience. And I didn’t receive my 100 points. Absolutely disappointing. We had a fabulous time! Our wait person was great, and all 4 of us thoroughly enjoyed our time there! Great remodel of the space. Fabulous service, wine & homemade pasta. Great location.